I really enjoy movies like Ocean’s Eleven. You know, the kind that set up a whole bunch of facts and intriguing plot lines, then throw it all out the door risking insulting the viewer’s intelligence. The fine line that divides viewer awe and utter rejection is one that many movies flirt with, and few are able to stay on the awe side; Gone Baby Gone does so much more than flirt with this line, and its ability to be intriguing and emotionally powerful throughout make it one of my favorite movies of all time. I apologize if you now think that I spoiled the movie, but rest assured that I haven’t. 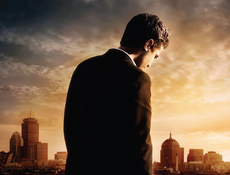 The great thing about Gone Baby Gone is that, while the plot is incredibly grabbing and outlandish, the movie has so much more depth than just the plot-line. The characters in Gone Baby Gone achieve some level of relate-ability (unlike everyone in Juno…) that allows for an even greater level of like-ability or hate-ability (are those words?). Regardless, by the end, you are attached to everyone. Because of the characters personalities, what they fight for, and the situations they are placed in, the idea of Good vs. Evil isn’t applicable here. The choices that must be made aren’t black and white. These choices make the movie an extremely personal experience for each viewer, and what you think is right and wrong will probably be questioned by the end. The impressive cast that includes Casey Affleck, Morgan Freeman, Ed Harris, and Michelle Monaghan delivers one hundred percent. As I said, if you speak to someone who has seen this about which characters were right and which were wrong, there is a good chance that you will wind up arguing because of the discrepancies in your opinions. I’m not sure that any view is better than the next; it’s all relative to who you are and what roles you play in life. If you have the chance, please see this incredible film. In my opinion, it was definitely overshadowed by some other great movies that came out in last-2007 (ie. There Will Be Blood and No Country for Old Men). 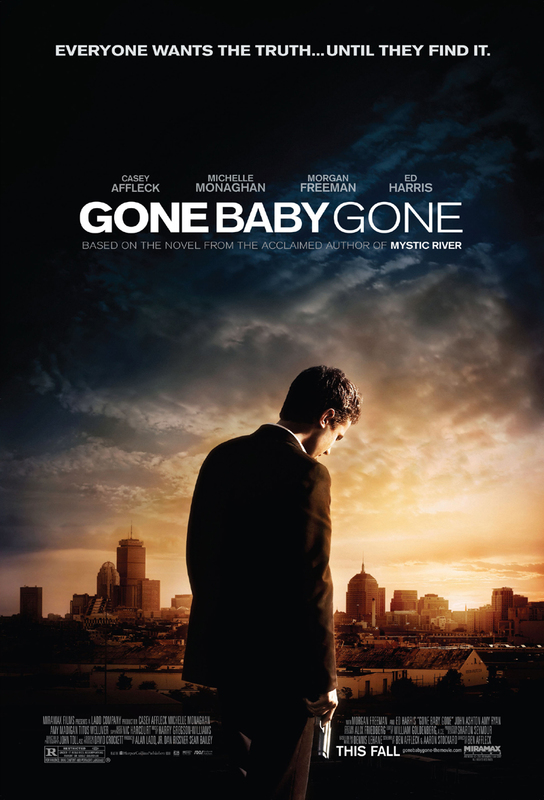 While those other movies were great, Gone Baby Gone is much better.